Viking has taken delivery of Viking Jupiter, the company’s sixth ocean ship. The delivery ceremony took place Feb. 7 when the ship was presented at Fincantieri’s shipyard in Ancona, Italy. On Feb. 16, Viking Jupiter will be the first in Viking’s fleet to sail the Journey to Antiquities itinerary, a new itinerary sailing between Athens and Rome offering guests the chance to experience the Mediterranean during the quiet season. During its maiden season, Jupiter will sail itineraries throughout the Mediterranean and then Scandinavia. 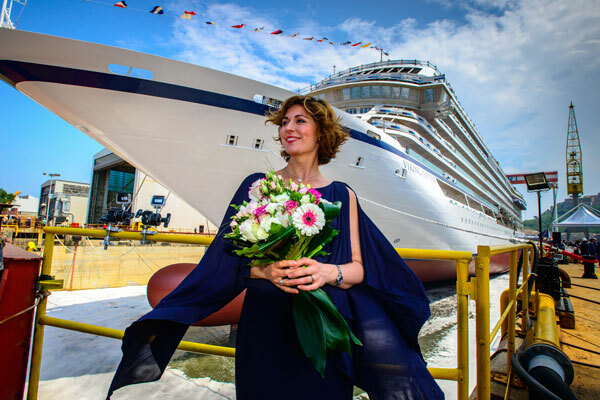 The ship will officially be named in Oslo, Norway on June 6 by its ceremonial godmother, Sissel Kyrkjebø, the acclaimed Norwegian soprano. Viking’s ocean ships have a gross tonnage of 47,800 tons, with 465 staterooms that can host 930 guests. With Viking, every cruise fare includes an outside stateroom, a complimentary shore excursion in each port of call, all onboard meals, and all port charges and government taxes. Guests also enjoy many complimentary amenities as part of their fare, including: beer and wine with lunch and dinner service; alternative restaurant dining; free WiFi; self-service laundry; access to the Thermal Suite in the LivNordic Spa; and 24-hour room service.